29 Dec – Louis Koo has been named the highest earning Hong Kong celebrity for the year 2014. According to Oriental Daily News, the actor, who filmed 14 movies this year including guest appearances, tops the chart with overall earnings of HKD 300 million (approximately USD 38.6 million). Aside from movies, which include "Don't Go Breaking My Heart 2", "Overheard 3", "Aberdeen", as well as the yet to be released "Triumph in the Skies" and "12 Golden Ducks", Louis also filmed 10 commercials, including Mannings, Pepsi, and Toyota Motors, and attended several functions, both private and public. 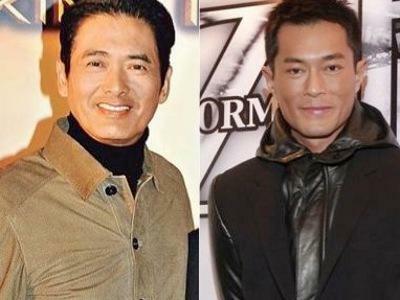 The second place, with a difference of HKD 130 million, is top star Chow Yun Fat, who pocketed HKD 170 million (USD 21.9 million) for his movies, including Lunar New Year films "The Monkey King", "From Vegas to Macau" and its upcoming sequel, as well as his commercial endorsements, including Hugo Boss. Meanwhile, Nicholas Tse grabbed the third spot with HKD 150 million (USD 19.3 million), filming "From Vegas to Macau" with Chow, as well as his romance film "But Always" alongside Gao Yuanyuan, in addition to 11 endorsement deals and his celebrity cooking programme, "Chef Nic". Kelly Chen became the highest earning female Hong Kong star this year, with HKD 83 million (USD 10.7 million), while Joey Yung followed suit with HKD 80 million (USD 10.3 million). Despite being plagued with negative rumours, Cecilia Cheung was able to make the ninth spot with HKD 70 million (USD 9 million).